If you were expecting an update to your Windows 10 security settings on this month's Patch Tuesday (read: today), then you better not hold your breath. 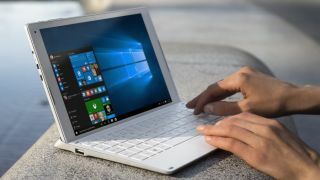 Microsoft just announced that it will withhold its February security patches for all Windows products entirely due to an issue it found just before release time and could not fix beforehand. If you ask the SANS Institute, its Internet Storm Center chalks the delay up to an expected change in the way Microsoft handles security patch updates. Just like on Windows 10, Microsoft can no longer compartmentalize the contents of its updates for older operating systems or release only the bits of them that it chooses – they must be released all at once. Just like its users can no longer choose which patches they download and install, Microsoft must release its new cumulative patches all at once. Microsoft has not said when, or if, it will be releasing an updated, cumulative set of Windows security patches for February. Here's to hoping we can survive any major holes in Microsoft's various operating systems until March.